To provide greater brainwave control accuracy, I designed and built 4 brainwave control hardware units using open-source Arduino microcontrollers. 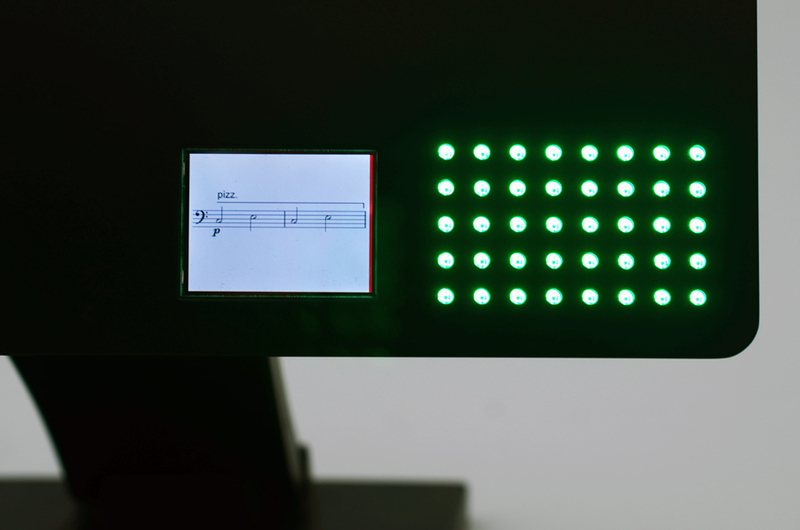 The units work as standalone devices but can also be used together in a modular brain-computer music interface system. Each units provides four SSVEP channels with flashing icons and associated graphical displays. The units can be combined to provide up to 8 channels per user or allow for 4 users to affect control within a brain-computer music interface system. The designs were sent to China for manufacture of the casings, then I assembled and wired the units. 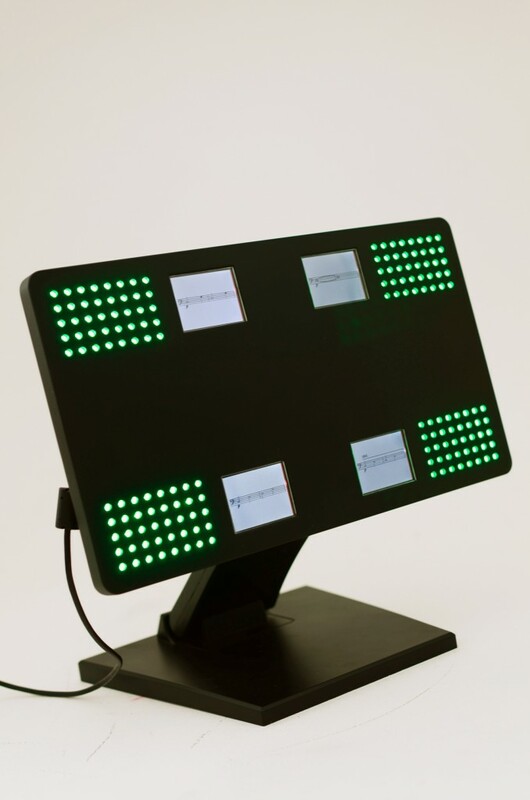 Each unit consists of four full-range RGB displays, four 2.2″ TFT screens and a WiFi shield for remote control. They are fully customisable and programmable via serial connection for integration with bespoke brainwave controlled performances and experiments. So far the units have been customised for the the piece Activating Memory, and you can also see me using two units in joyBeat. I also use two units for my performance piece, A Stark Mind. They were also used for SSVEP experiments that formed part of my PhD thesis. Here’s a short video of the brain responses available using the stimuli unit for SSVEP. SSVEP tests from joel eaton on Vimeo.